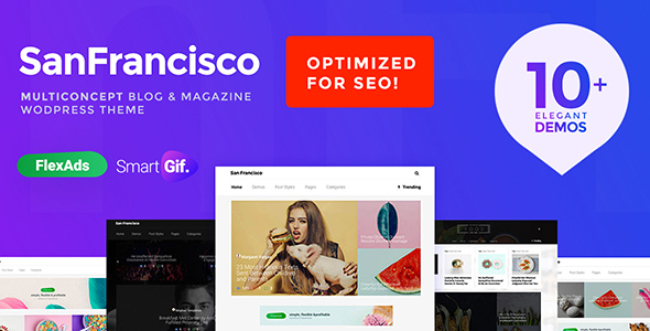 San Francisco is modern, clean and easy to use blog & magazine theme that lets you have full control over all items in the theme. Powerful and unique page builder interface lets you easily combine plenty of pages with various modules in seconds and does its job more than you think. You don’t need to have any code knowledge. Check out the demo pages to see some amazing features. The theme comes with more than 336 homepage combinations with using grid & featured post in page builder wizard. This theme is perfect for bloggers who use Adsense because it has a great ad replacement feature.